Rock Face Coping - Legends Landscape Supply Inc.
Flagstone is available in a variety of styles to suit varying tastes and objectives. Is Your Yard a Wasted Space? Take a step outside to the front or back of your house and take a moment to think. Are you happy with what you see? So many home owners change, experiment with, and perfect the design elements inside the house while completely ignoring lackluster landscaping surrounding the house. Your home is not just the four walls on your property, but the property itself. 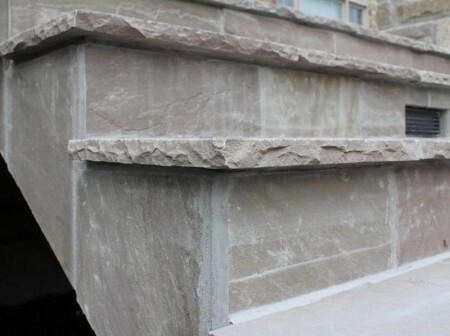 Rock face coping can help create a natural, rugged feature on your property or inside your home. Give us a call or stop by our showroom to see how our selection of products can meet your needs. Start on your next project by contacting us! We look forward to hearing from you.